Edel/ Adel/ Etta/ Ethel Gillick, mother of the Camlots, and her husband Israel Kamlut did not immigrate. 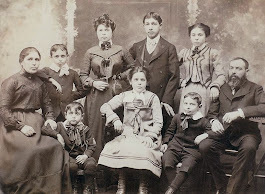 The way I found out about Edel's family is through her nephew, Lawrence, who shared his grandmother Nechama / Emma Gillick Wolfson/ Wilson's memories of her siblings. It is great when someone connects with a name or record on an Ancestry Tree. This is what happened to Deb who has spent countless valuable hours researching people from Ostropol and Staro-Konstaninen and building a Tree that connects the thousands of people with those origins. We depend on the descendants stepping forward with what they know and remember. Piecing together all those sometimes disconnected fragments can provide so many clues in understanding relationships. Nechama / Emma Gillick lived with her grandson, Lawrence for 16 years and it was he who shared what his grandmother had told him many years ago. One of her sisters had been a mother to the Camlots. That would mean that Nechama was the sister of Edel Gillick Camlot. Did any family members have contact many years ago? I have yet to find out! Nechama was born about Jan 1857 in Ostropol and died in Montreal 24 Aug 1945. Along with her sister Edel, she had 3 other siblings, a sister Tanna who had a daughter Shifra Greenfield in Vinnitsa, a sister Rose of New York and a brother Abraham. Abraham may have had the name Kally which was found to be a variant of Gillick. Their father's name was Abraham which I found out from the translation of Nechama's gravestone. Abraham was born about 1830 in Ostropol and died about 1856 in Ostropol. It is important to sort out all the similar and same names! Deb has helped with this by sending me this e-mail. 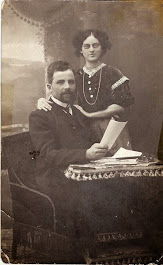 "Nechama's brother, born around 1856 ( not her father) would be Chaim Abraham and the likeliest father to Joe/ Louis/ Jacob Meir." As well she wrote, "The surname Kally was just the memory of the last name from Lawrence. He had never heard the name Gillick before. I think the name Kally never had a separate existence, just a name that sounded something like that- Kally, Gally, Gallik is not a far stretch." Nechama had 4 daughters: Mary, Leah, Annie and Lillian. She was married before 1890 to Barnet (Boruch) Wolfson in Ostropol but he left the family sometime during the childhood of his daughters. Nechama departed from Rotterdam on the ship, S.S. Rotterdam, 8 Jul 1902 and arrived 14 Jul 1902 in New York. Her 2 daughters Leah ( Leia )and Lillian ( Libe ) were with her. The name of a daughter M. Gold, daughter, at 220 Clinton St, New York was where they were heading. The identity of that daughter is uncertain; she may have been daughter Mary. In the 1911 Census, Nechama used the name Wilson and called herself a widow. In her daughter Anne's wedding invitation, she also used the name Wilson. The name Wolfson was on her gravestone. Mary/ Miriam Wilson/ Wolfson, born Mar 1890 in Ostropol, Volynnia, Russia. She married Joseph Hausberg about 1915 in Montreal. 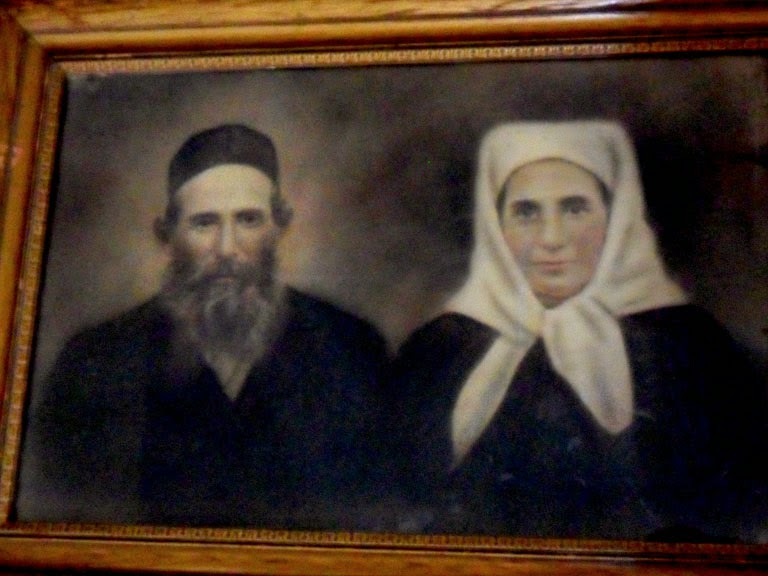 They had 2 children, Rose and Benny ( Boruch ). 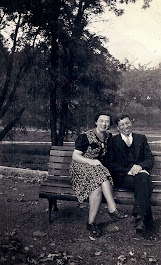 Rose was born about 1914 in Montreal and married Lewis Brook. Benny was born in 1916. Mary died 22 Jan 1936 in Montreal. 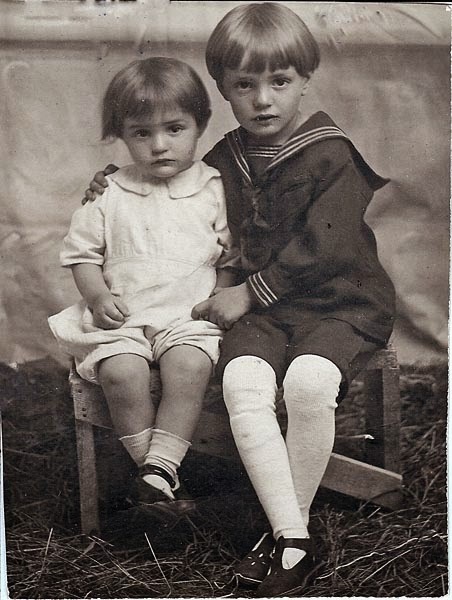 Leah was born about 1891 in Ostropol, Volynnia, Russia and died about 1952 in Montreal. Annie/ Chana Wilson ( Wolfson )was born Apr 1892 in Ostropol, Volynnia, Russia. She died in Montreal. She married Chatzkel/ Ezekiel Garmaise, 14 Jun 1917 in Lachine, Quebec. Ezekiel was born 1886 in Ostropol and died 10 Jan 1955 in Montreal, Quebec. They had 3 sons Boris, David and Lawrence. Lillian/ Liba Wilson ( Wolfson ), born Apr 1893 in Ostropol, Volynnia, Russia. Her first marriage was to Abraham Levine, 19 Sep 1920 in Lachine, Quebec. 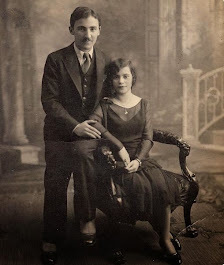 She married Sam Lazar, 5 Nov 1933 in Montreal. It would be very meaningful if someone would recognize these names and be able to offer more evidence that this is indeed the family of Edel Gillick Camlot and Abraham Gillick. What this would mean is that would link all their descendants. That would explain how Fanny Gillick was a cousin to her husband Fred Camlot. I had heard that they were cousins.. This would offer the explanation: Fanny's grandfather Abraham and Fred's mother Edel were siblings. What also follows is that would mean that Jacob from Chicago and Louis and Joe Gillick from Sherbrooke, Quebec were first cousins to the Camlot siblings. Joe attended the Bar Mitzvah of Jack Camlot's grandson, Irving. There was a connection! A totally other surprise and intriguing was finding that the address of Annie Wilson/ Wolfson's wedding invitation of 92 Prince Arthur Street in 1917 is the same address as another relative on my mother's side who lived at the same address in the same year of 1917. Ida Schwartz married Israel Meyer Randolph, 28 Jan 1917. The address at the time of their son Moses/ Morris' birth, born 12 Nov 1917 was 92 Prince Arthur. 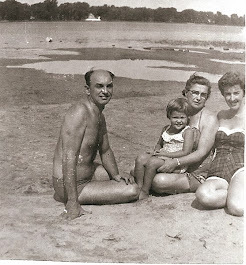 It would be great if some other connection would emerge from this and I could find out about this Schwartz family! my great grand parents were lewis and rose brook.